Bay Guardian volunteers with the Sarasota Bay Estuary Program (SBEP) and guides with Around the Bend Nature Tours will remove debris and invasive plants at Quick Point Preserve Saturday, March 10. Quick Point Preserve is located at 100 Gulf of Mexico Drive on Longboat Key. The 34-acre preserve with 3,000 feet of shoreline features scenic vistas and opportunities for viewing birds and other wildlife. Paved trails and boardwalks provide convenient access to the man-made tidal lagoons. Students from Martha B. King Middle School in Bradenton and the Future Leaders Academy in Sarasota will be participating at the volunteer event. Guides with Around the Bend Nature Tours will provide educational insights and lunch will be provided to the volunteers. King Middle School was recently selected to receive a SBEP Blue Dolphin Award to acknowledge the school’s ongoing support of Bay Guardian volunteer events. The next Bay Guardian event is the annual Air Potato Roundup April 14 at North Water Tower Park in Sarasota. Air potatoes are an invasive species and prior Bay Guardian events at the park have focused on removing the plant. The April event is supported by area disc golfers including members of the Sarasota Sky Pilot Disc Golf Club. North Water Tower Park has one of the most popular disc golf courses in the region. The Sarasota Bay Guardians is a family-friendly volunteer program that SBEP manages in partnership with Around the Bend Nature Tours. The program was established to attract volunteers interested in helping restore Sarasota Bay. New volunteers receive a blue tee shirt featuring the Bay Guardians logo. 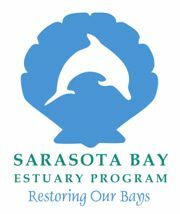 Learn more about the program online at sarasotabay.org. Local school and church groups interested in volunteering can also contact Sara Kane.